Pack your costumes, and maybe even one for your pet, then make your way to Savannah, Georgia. Halloween is just around the corner, and it’s time to start planning your vacation! Whether you’re looking for a little exercise, a scary movie, or a ghost tour, you’ll find it during the month of October. Reserve your room at the Presidents’ Quarters Inn and make note of these spooky events in Savannah! There are many scary movies playing at the Lucas Theatre during the month of October. These include “Edward Scissorhands,” “Silence of the Lambs,” and “Midnight in the Garden of Good and Evil.” They are featured on different dates throughout the month! This fun, safe, not-so-scary event will be held on Friday and Saturday night at the Oatland Island Wildlife Center of Savannah. There will be face painting, spooky crafts, pony rides and many more activities. Comfortable walking shoes and costumes are encouraged! Admission is just $6 for adults and $8 for children. Telfair Museums’ William Jay Society and AfterLife Tours will host a walking tour in Savannah. It will start in Telfair Square and end at Moon River Brewing Company. 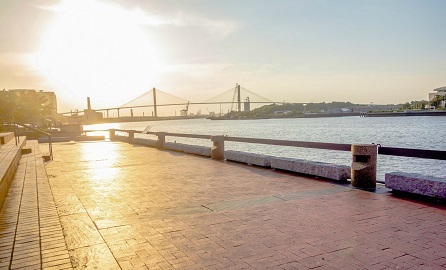 Walk through Savannah and visit some of the city’s most haunted locations! You’ll hear historically accurate details of paranormal activity at each stop! The tour will last approximately 1.5 hours. Blue Orb Tours offers Savannah ghost tours for the savvy traveler. Join founder Tobias McGriff as he takes you through stops he has never toured publicly. You’ll hear tales of modern hauntings. These special event ghost tours are for those 18 and older and reservations are required. Show your Halloween spirit as you run on Wilmington Island and prepare for the Rock ‘n Roll Savannah Marathon and ½. It also raises money for four local charities: Mid-Town Community Center, West Broad Street YMCA, Wesley Community Centers and SAFE Shelter. Run or walk in your craziest Halloween costume to win great prizes! In its 8th year, this event promises fun for your furry friend and the entire family! Dress in your costume and enter the Humane Society of Savannah’s prize-winning costume contest. You’ll get your maps and goodie bag for a $5 donation at Canine Place, 612 Abercorn Street. Be sure to bring some extra cash to enter to win some great raffle items! 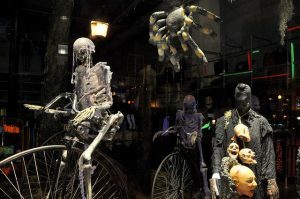 From 5 to 11 p.m., River Street will be filled with Halloween festivities including costume contests, prizes and more! This free event will be held at Rousakis Riverfront Plaza. It’s open to the public! 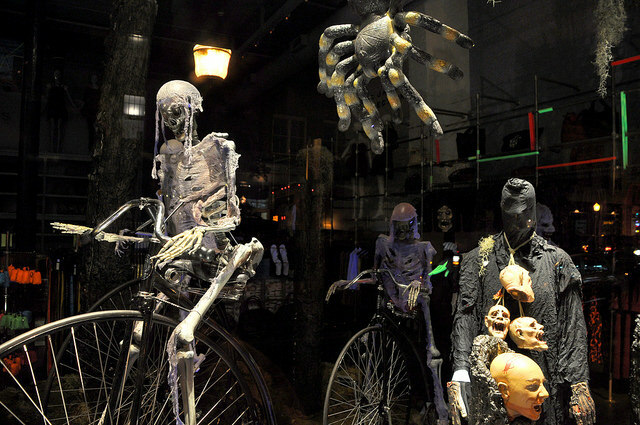 We hope this list of spooky events in Savannah helps you plan your October getaway. 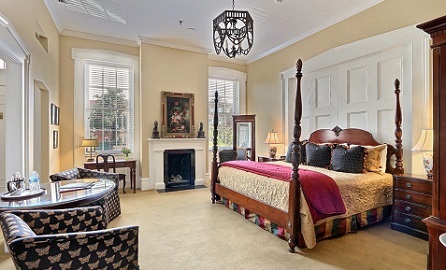 As a local Savannah bed and breakfast, we at Presidents’ Quarters Inn are here to help you plan and book the perfect vacation to one of the South’s most historic cities. 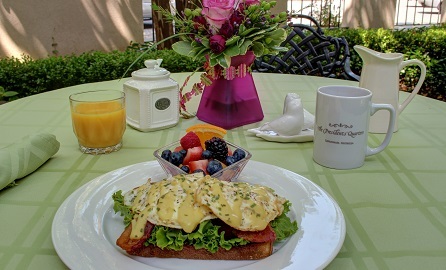 We are nestled in the heart of Savannah’s historic district on Oglethorpe Square. Learn more about our accommodations here.